Office hours: Tuesday 1.30-4.30 p.m.
Alfred Hermida, PhD, is an award-winning online news pioneer, digital media scholar and journalism educator. He is director and associate professor at the University of British Columbia Graduate School of Journalism, and was a founding member of the award-winning BBCNews.com website. In 2017, he co-founded and launched The Conversation Canada with his UBC Journalism colleague, Mary Lynn Young, bringing academics and experienced journalists together to share timely analysis and commentary drawing from research, evidence and insights. 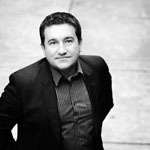 With an extensive record of scholarly peer-reviewed articles in respected journals and chapter contributions to academic texts, Hermida is at the forefront of research into the digital transformation of media, social media and data journalism. His recent book, Tell Everyone: Why We Share and Why It Matters, (DoubleDay Canada), received the 2015 National Business Book Award which recognises the best business-related book in Canada. Tell Everyone charts how our enhanced capacity to share information via social media is transforming what we know and how we know it. It examines at how sharing is shaping our notions of an informed and engaged public, a media ecology of competing ideas, and a responsive political establishment. He co-authored Participatory Journalism: Guarding Open Gates at Online Newspapers, published in 2011 by Wiley-Blackwell. Prof Hermida teaches in the integrated journalism program at the Graduate School of Journalism. The program is based on a model of professional journalism education based on knowledge-enhancement, emerging media and interdisciplinarity, rather than just on static craft development based on industry-specific norms and structures. Skill development is grounded in learning activities that foster reflexivity into how media is changing due to by the interplay between technologies, journalistic practices and society. He also developed the award-winning Decoding Social Media, a joint offering with the Sauder School of Business. The pioneering course brings together journalism and business students to work on strategic social media projects for media clients. An award-winning journalist, he is a 16-year veteran of the BBC and was a founding news editor of the BBC News website in 1997. During his tenure as daily news editor at the BBC News website, the site won the British Academy of Film and Television Arts (BAFTA) award for the best news website four years running, from 1998 to 2001, and a NetMedia Award for the Best Story Broken on the Net in 2000. In 2003, he received a NetMedia Award for Technology Reporting for an in-depth report on the use of technology in developing countries. Prof Hermida joined the website after seven years in BBC radio and television news. working for regional, national and international outlets. Four of these years were as a BBC foreign correspondent in North Africa and the Middle East, mainly covering the Islamic insurgency in Algeria and the Israeli-Palestinian peace negotiations. During this time, he interviewed the former PLO leader Yasser Arafat twice, as well as the former Libyan leader Muammar Gaddafi. He also contributed articles on the Middle East to The Wall Street Journal and The Times of London, and radio reports for CBC and Christian Science Monitor Radio. In 2005, Prof Hermida was a Knight-Wallace fellow at the University of Michigan, and has lectured at the American University in London and at City University, London. He holds a Ph.D. Journalism from City University, London. He also has a Master of Arts in Latin American Studies from University College, London, and a Bachelor of Arts in International Relations (First Class Honours) from Staffordshire University, Stoke-on-Trent. Prof Hermida’s research interests include the impact of digital communications technology on journalism, social media and new models of journalism education. Through his research at UBC, and his earlier work at the BBC, Prof Hermida has built an international reputation as an authority on new media, with his work appearing in Journalism Practice, Journalism Studies and other top tier journals. His work has explored changes in journalistic practices, challenges to established professional dynamics, the role of user-generated content and processes of innovation. By investigating the information architecture of digital media and the increased opportunities for audience involvement, he has sought to contribute to rethinking the way we understand journalism in the contemporary media environment. Since joining UBC in 2006, Prof Hermida has launched a series of applied research projects designed to connect academic research with industry. These digital initiatives combine scholarly work, student training and practical applications to investigate new directions for media, while contributing to the culture of innovation in Canada. They include a partnership with CBC Radio 3 to research and develop a participatory online resource for Canadian music, and a collaboration with IBM Canada to investigate the application of data visualization technologies in journalism. Hermida was named an IBM CAS Canada Research Faculty Fellow in 2010, 2011 and 2012. IN 2011, he received the UBC President’s Award for Public Education Through Media for his work in communicating academic research into media trends to the public. He was a finalist in the 2011 Digi Awards for Canada’s top social media maven and was a finalist in the New Media BC 2009 PopVox Individual Stand Out Awards in the Digital Education category. He won a 2010 Canadian Online Publishing Award for best blog for Reportr.net. He has also been recognised for his work on social media with an Excellence in New Communication Award in 2013 from the Society for New Communication Research, (SNCR), for a student social media project he supervised. The previous year, he supervised a UBC/CBC Radio 3 project that won a Commendation of Merit in the SNCR Excellence in New Communications Awards program. Hermida was also the first digital journalist to be honoured with a Knight-Wallace Fellowship at the University of Michigan. Hermida, Alfred, and Young, Mary Lynn. (2019). Data Journalism and the Regeneration of News. New York: Routledge. Witschge, Tamara, Anderson, C.W., Domingo, David and Hermida, Alfred eds. (2016). The Sage Handbook of Digital Journalism. New York: Sage. Hermida, Alfred (2014). Tell Everyone: Why We Share and Why It Matters, DoubleDay Canada. Singer, J.B., Hermida, A., Domingo, D., Heinonen, A., Paulussen, S., Quandt, T., Reich, Z., Vujnovic, M. (2011). Participatory Journalism: Guarding Open Gates at Online Newspapers. New York: Wiley-Blackwell. Young, Mary Lynn, Alfred Hermida, and Johanna Fulda. 2017. “What makes for great data journalism? A content analysis of data journalism awards finalists, 2012-2015.”Journalism Practice: 1-21. Garcia de Torres, Elvira and Alfred Hermida (2017) The Social Reporter in Action: An Analysis of the Practice and Discourse of Andy Carvin, Journalism Practice. Hermida, Alfred, and Young, Mary Lynn. 2016. “Finding the Data Unicorn: A hierarchy of hybridity in data and computational journalism.” Digital Journalism, Online First April 7: 1-18. Callison, Candis and Alfred Hermida, (2015) “Dissent and Resonance: #Idlenomore as an emergent middle ground,” Canadian Journal of Communication, 40 (4): 695 – 716. Zeller, Frauke and Alfred Hermida. (2015) “When Tradition Meets Immediacy and Interaction: The Integration of Social Media in Journalists’ Everyday Practices.” About Journalism, 4 (1), 106-119. Herrera Damas, Susana and Alfred Hermida. (2014) “Tweeting But Not Talking: The Missing Element in Talk Radio’s Institutional Use of Twitter.” Journal of Broadcasting & Electronic Media, 58(4): 481 – 500. Young, Mary Lynn and Hermida, Alfred (2014). ‘From Mr. and Mrs. Outlier to Central Tendencies: Computational Journalism and Crime Reporting at the Los Angeles Times’. Digital Journalism, 1-17. DOI: 10.1080/21670811.2014.976409. (First published online 21 November 2014). Hermida, Alfred (2013) “#Journalism: Reconfiguring Journalism Research About Twitter, One Tweet at a Time“, Digital Journalism, 1(3) 295-313. doi:10.1080/21670811.2013.808456. (First published online 21 June 2013). Lewis, Seth C., Rodrigo Zamith and Alfred Hermida, (2013) “Content Analysis in an Era of Big Data: A Hybrid Approach to Computational and Manual Methods”, Journal of Broadcasting & Electronic Media, 57 (1), 34-52. Hermida, Alfred (2013), “Twitter as an Ambient News Network”, in Bruns, K. Weller, J. Burgess, M. Mahrt & C. Puschmann (eds. ), Twitter and Society. New York, NY: Peter Lang. Hermida, Alfred (2012), “The Promise and Practice of Participatory Journalism”, in Benoît Grevisse and Amandine Degand (eds), Journalisme en Ligne: Pratiques et Recherches, De Boeck. Hermida, Alfred (2012) “Tweets and Truth: Journalism as a Discipline of Collaborative Verification.” Journalism Practice, iFirst, March 27, 2012.